Arenal Oasis Ecolodge & Wildlife Refuge has one of the best locations in the Arenal Volcano area. 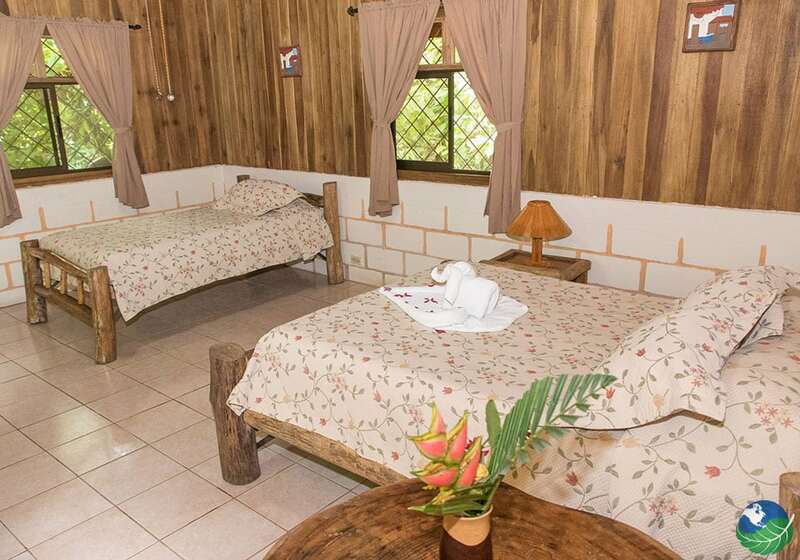 With a proximity of only about 2 miles (3 kilometers) to La Fortuna downtown, La Fortuna waterfall, chocolate tours and only a few more minutes to the volcano and various hot springs, this lodge is a popular place for young and old! 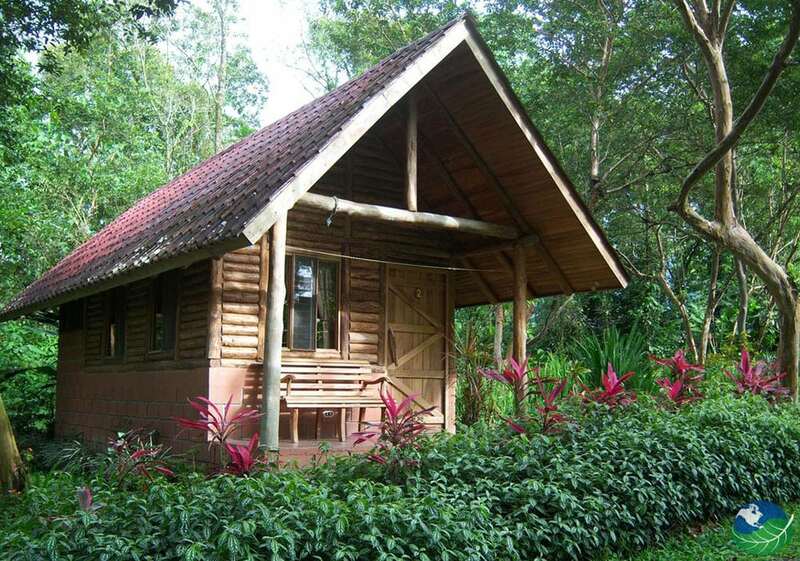 The Ecolodge offers eleven nature cabins. 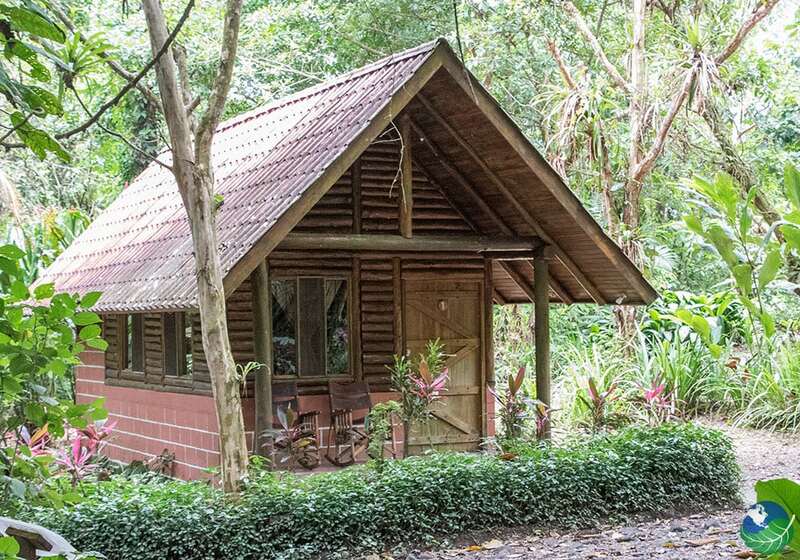 Ten Bungalows and one Villa ideal for small groups and families. The tranquil atmosphere emphasizes the natural, rustic interior. For this reason, you will feel right at home and use Arenal Oasis as the optimal starting point for your adventure in Costa Rica’s Northern Zone. 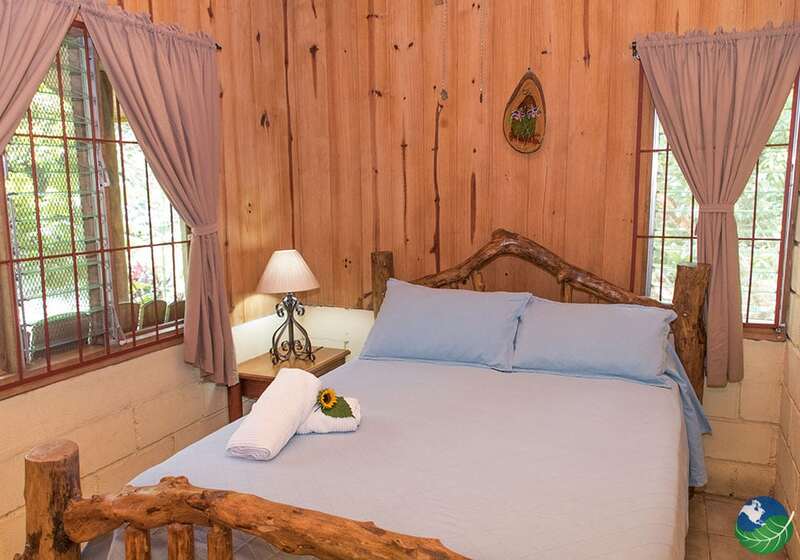 Additionally supporting the lodge’s charm is that it is owned and managed by a local family. They will cater you with a personalized, warm and welcoming experience. Witness the beauty of this diverse area with all its flora and fauna. Furthermore, immerse yourself in the majestic environment Arenal Volcano creates! Are you looking for a real rainforest experience? 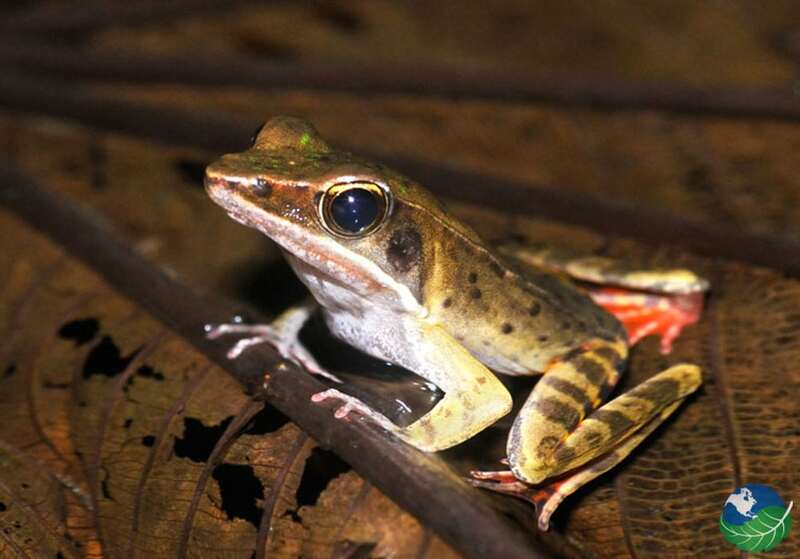 Then you need to visit the Lodge’s wild frog sanctuary… at night! 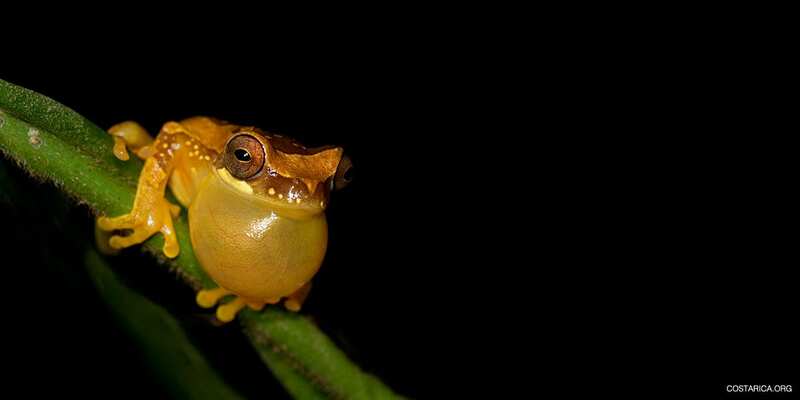 Most easily observed and most active at night, at least 28 frog species live in the ponds of Arenal Oasis. They have created an ideal frog habitat featuring ponds fed by fresh spring water and native plants. Consequently, you will be able to observe colorful tree frogs and also other wildlife. On the night tour, you will hike along easy trails snaking into the noisy rainforest. Your guide will be able to show you nocturnal animals hiding from you. So do not forget your camera! And, not to mention your binoculars as Arenal is a perfect location for your bird watching vacation. Start your morning with a rich breakfast in the lodge’s restaurant in front of bird feeders and continue your birding adventure with an informative tour. The property houses over 150 bird species on only five hectares! With a bit of luck, you might even spot the Resplendent Quetzal! Costa Rica is a leader in preserving and conservation worldwide. About 27% of its landmass is protected and over 90% of its electricity comes from renewable sources. Arenal Oasis participates in these efforts as well by taking part in Natural Conservation projects and processes. They are using biodegradable products, engaging in recycling programs and garbage treatments. 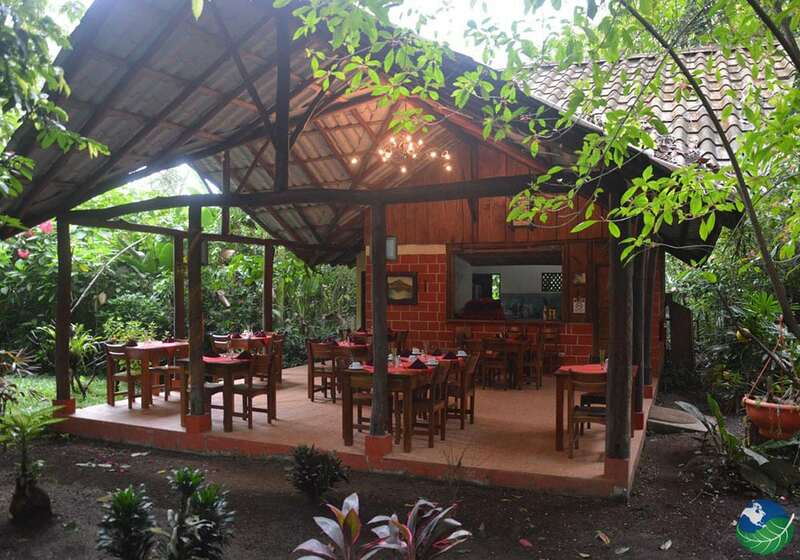 As a result, you can enjoy Costa Rican cuisine in their restaurant including several organic produce. Furthermore, they are supporting environmentally friendly education for the local community to guarantee an attentive cooperation between human and nature. Consequently, Arenal Oasis capitalizes wildlife protection! Become a part of this movement yourself and stay in this Ecolodge combining lower budgets with sustainable living. Yes, sustainable tourism can be that easy! The Arenal area has a lot to offer with over 30 outdoor activities varying in type and level of adventure! From aerial excursions and hiking to horseback riding and cooking classes, you will surely find something enjoyable. Given that, the most popular Arenal tours are still canopy, hanging bridges, and hot springs. Soar through the treetops while spotting various wildlife, or take more time observing flora and fauna on a bridge hanging in the canopies. You can always go on guided tours to get the maximum information on your surroundings. The local naturalist guides are true experts and will be happy to answer all your questions! After an adrenaline-filled day, do not miss out on the healing properties the natural hot springs have to offer. Therefore you can easily get a day’s pass and let the minerals do their magic. They boost your immune and nervous system and aid blood vessel function. In the end, whatever you are doing here, boredom will not come up! Arenal. Restaurant, Bar / Lounge. A/C, TV, DVD Player, Internet access / Wi Fi, Phone, Safe Box, Private Balcony / Terrace. Arenal. Favorite. Birding Pool, Jacuzzi, Restaurant. Safe Box. Laundry Service, Concierge. Arenal. Favorite. Nature Transfer, Entrance Fee.